Do you have a thousand things going on each day? Do you try to juggle all the tasks that life throws at you? Do you get the job done and try to stay fit while doing it? 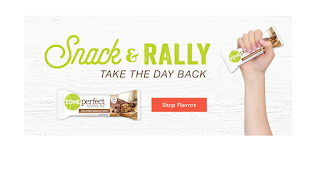 ZonePerfect® bars can help in your fitness routine and busy lifestyle. Life doesn't slow down just because you are tired or hungry. These nutrition bars are not just a pick me up. ZonePerfect® nutrition bars are a straight up, all-in, get after it, lift me up!